Samsung VP Lee Jae-yong has been arrested in South Korea on charges of bribery. The case is linked to Choi Soon-sil scandal that led to the impeachment of President Park Geun-hye. The tech giant is accused of giving donations to non-profit foundations operated by Choi Soon-sil, a friend of President Park Geun-hye, in exchange for government favors. Lee Jae-yong and the Samsung Group deny any wrongdoing. He was first questioned by prosecutors in January, but they decided then not to arrest him. However, Lee Jae-yong was questioned for a second time earlier this week. On February 17, the court said it “acknowledged that it is necessary to arrest [Lee Jae-Yong] in light of a newly added criminal charge and new evidence”. 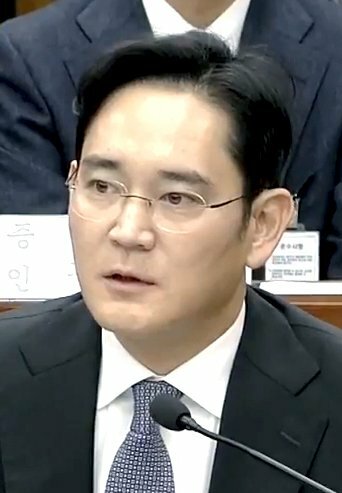 Lee Jae-yong also confirmed the firm gave a horse and money to help the equestrian career of Choi Soon-sil’s daughter, Chung Yoo-ra, something he said he now regrets. Choi Soon-sil is a long term family friend whose father had already had close ties with Park Geun-hye’s father who was president in the 1970s. Parliament voted in December to impeach President Park Geun-hye. Her case is now being heard by the constitutional court. Meanwhile she has been stripped of her presidential powers. Lee Jae-yong is currently vice-chairman of Samsung Electronics. But since his father, Lee Kun-hee, suffered a heart attack in 2014, he is considered de facto boss of the entire Samsung Group conglomerate. Regardless of the outcome, a trial is a big blow to Samsung. Lee Jae-yong’s arrest may not affect short term production or the running of the firm but there could be long term implications. Shares in Samsung conglomerate’s companies lost between 0.5% and 2% on February 17.